Last week, the leader of a national new organization was taken down under dubious circumstances. Apparently, a filmmaker set a trap, edited the resulting footage for a desired effect, and ignited an anti-NPR fuse that resulted in the explosion of its leadership. 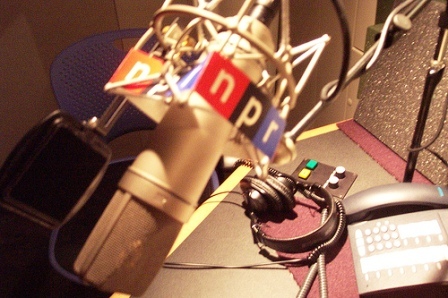 Whether you are an NPR fan or against them, the situation highlights a significant disconnect between technology, ethics, and current law. Today, I can invite you to lunch, ask any number of leading or embarrassing questions, record your every word without your permission, edit your responses so that you seem to be the embodiment of evil, include a closeup shot of your credit card and signature, distribute the resulting video throughout the world, publicize it throughout the blogosphere and the news media–all without your knowledge, and with little if any vetting by any responsible editor, gatekeeper, or other adult supervision. And, I would be within my rights to do so. And, there is little you could do about it–without drawing even more attention to a miserable situation. We’ve launched a global system of instant communications, based upon low-cost, high-access tools in an environment where free speech trumps all. Errors, whether by omission or commission, result in revision, or deletion of a few references, but never erasure. It may be that this is our new reality. And it may be some sort of ultimate test of free speech rights. We don’t want to place a gate between bloggers and their readers. Without a gate, readers have no way to evaluate truth, fact, or bias; with a gate, those decisions are made by others who, presumably, possess the necessary time, training and ethical policies to assume such responsibility in our free society. Without a gate, every opinion can be heard (or, read)–right, wrong, biased, malicious, disguised, or squeaky clean. With a gate, there is control and protection–terms we like when they’re used in transportation, not so much when they’re used in communication. With digital media, transportation and communication converge–and we need to define some rules of the road.